250 p., 18,1 x 25,4 cm. In Bernard Bolzano’s first four academic years as a professor at the University of Prague he held 169 edification speeches, of which however only 13 have been preserved. An index which Bolzano compiled himself does however provide information on the content of all the other edification speeches held during this time. 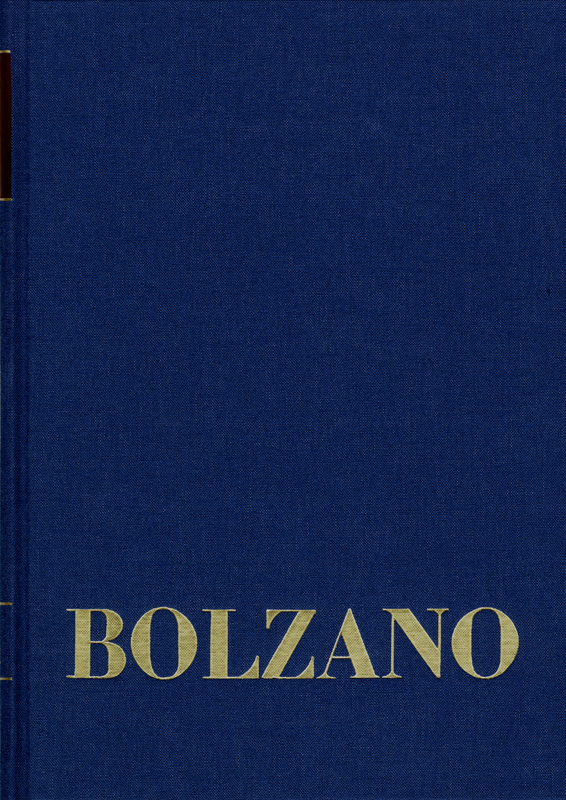 This volume contains a complete documentation of all the edification speeches which Bolzano held up to the end of the academic year 1807/08. This first volume of [Erbauungsreden] follows the same high scholarly standards as previous volumes of this monumental edition of Bolzano’s works.